…You could be dressed to the nines in Balmain, but if your hair and skin says FILA then you’re better off skipping the red carpet. Ok…maybe that was a bit harsh, but celebrities get the best skin and hair treatment. Want to the glow from head to toe like JLo and Bey? Here are 5 holy-grail oils that won’t break the bank, but will slap the crap out of your beauty regimen. High in vitamin E and essential fatty acids, it hydrates, softens and boosts skin AND hair. Use a few drops on your skin right after a shower to seal in moisture. Use a few drops on your hair while wet to help protect against split ends or on dry hair as a shine serum. The plus? You’ll smell AMAZING. Acquired from the seeds of the tropical jojoba plant, it is packed with most of the vitamins and minerals essential for healthy skin and hair. Use a few drops as a daytime moisturizer if you have an oily T-Zone – just blot the excess. It acts just like your body’s natural oils, so it won’t increase your shine. Use it as a dry scalp treatment or as a hair softening conditioner. Boost it’s benefits with a 20 minute secadora sitting. It literally has a 1,001 uses, but it’s beauty benefits are unmatched. Besides being an amazing moisturizer year-long (did you know it was anti-bacterial too? ), it’s a life saver on any type of hair. Leave some on dry hair for a few minutes before a shower. Follow with your usual shower and hair-washing routine. You’ll notice the delicious difference almost immediately. Also rich in vitamin E, fatty acids and antioxidants, it is what pours out of the fountain of youth. It’s Omega-3s aid in the protection against harmful UV rays that can both sunburn your skin and age it. Adding a teaspoon or two to a skin or face mask spikes its benefits. It’s lightweight texture is soaked right in. Found in the Melaleuca alternifolia tree (say that three times fast), it’s been used for ages for it’s antiseptic properties. Basically, it works wonders on acne prone skin. Because it’s strong enough to use as a household cleaning solution, it must be diluted in order to use safely on the face. 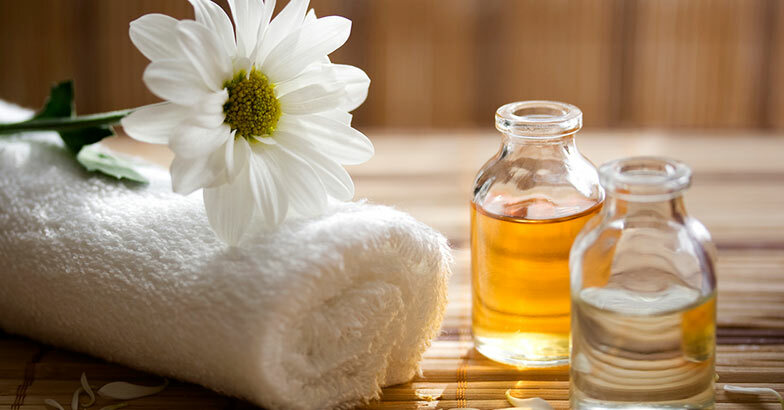 Use it as an acne spot treatment by adding a drop of the oil onto an already dampened cotton ball or q-tip. All can be found at your local health food store. Let me know what you tried!